The two words any downtown ambulator has learned to fear: Sidewalk Closed. This is near the intersection of Harwood and Ross downtown, where the Trammel Crow Center is renovating and, across the street, building a hotel, apartments, and assorted amenities. 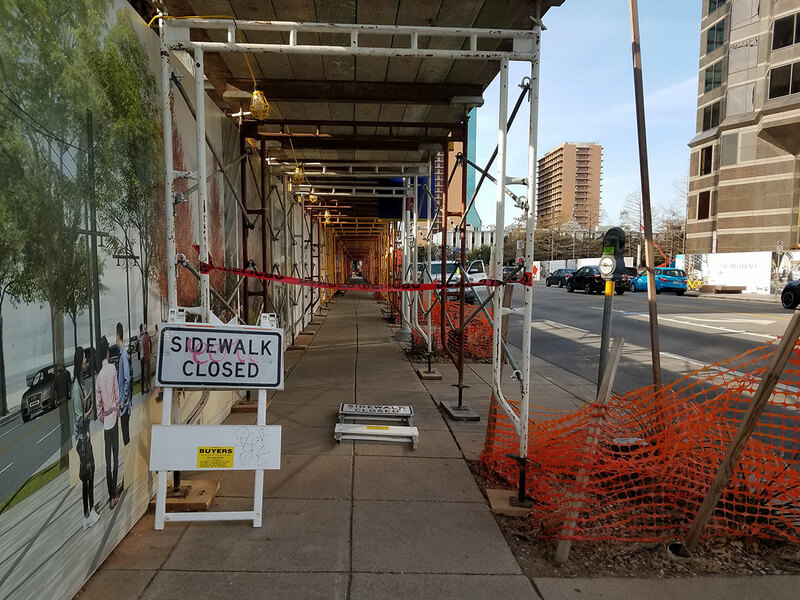 Workers were kind enough to build a scaffolding-and-plywood passage over the sidewalk, something lacking in last week’s edition of “Dallas: The City That Hates Pedestrians.” Puzzlingly, there is a “sidewalk closed” sign, as well as red caution tape suggesting that pedestrians should not make use of said tunnel. Progress?